Box Leagues | Broward Lacrosse Advantage, Inc.
Broward Lacrosse Advantage has secured the facility for six weeks of “indoor” lacrosse play this winter. Games are expected to be 2 evenings at 6 or 7pm starting approx December 12 through January 11. Typically 2 games per week. Schedule will be set once teams are confirmed. There will be 8 games per team. 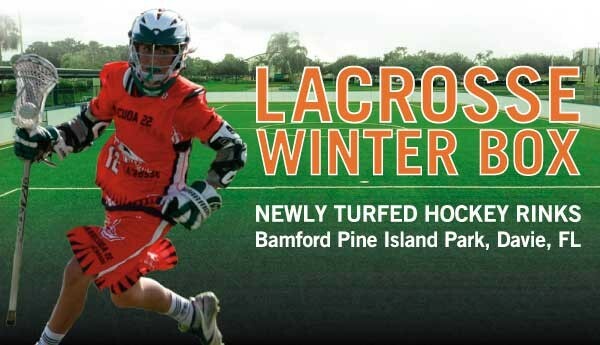 Players can create and register as a team by naming the team, emailing the roster to pete@browardlaxadvantage.com, and having each player indicate the team name on the registration. Players can also register as individuals and be assigned to a team.